By Simon Allott, Rick Stein at Porthleven. Pan fry the capers in plenty of vegetable oil until crispy and dry on paper towel. 30g pickling liquid in a small saucepan. Add the vegetables and bring to the boil, quickly remove. Place on the pass. Plancha the mackerel on the skin side, leave slightly under as the fish is already slightly cured. 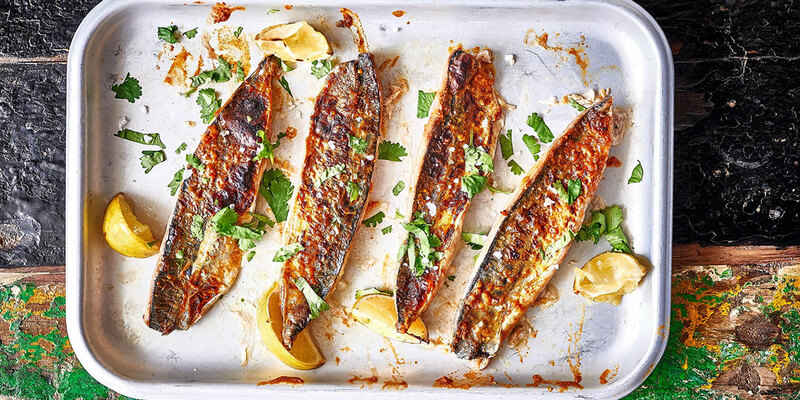 Serve with pickled veg under two fillets of mackerel, arrange the chervil, oil and crispy around the plate. To finish, sprinkle crushed fennel seed on top of the mackerel.